It is the best platform to download free service log templates for excel. After downloading an appropriate service log template one can simply keep track of service and maintenance related information for a vehicle, device or any other product. A detailed and regularly updated service log is a handful document that enables the user or consumer to get service and maintenance of automobile, vehicle or device in timely manner. Service log may include details like description of the vehicle, product or device, recent repairs made during last service or repairing, expected duration between two services and date of the next expected service or maintenance etc. Service logs are widely used by business organizations and individual persons to keep their vehicles in functional position. Service log template makes it very easy for anyone to keep track of all the important service and maintenance information about a vehicle or any other device including oil changes, wheel alignment, wiper blades, spare parts to be changed during next service and many more. Service log template can serve you as a good beginning point to create a service log yourself. For example when you are using a service log for your personal car, it can work like a proper plan of services for your car to keep track of the services and maintenance that has been done previously, different areas of repair, spare parts changed during the service and date of the next expected service along with details about what maintenance needs to be done in the future times. 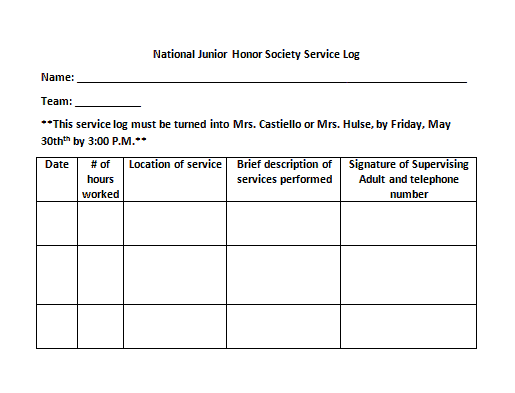 You can note down all these details on a simple paper but chances are you may get things mixed with each other that can cause trouble so download free service log template from here and construct a custom service log on desktop computer. All below listed service log templates are prepared in MS excel.